How to Change the Oil on an ATV | Gold Eagle Co. If you have an ATV, you’re going to have to change the oil at some point so you can keep it running properly. But what if you’re not adept at ATV maintenance? Luckily, this task is pretty simple. It’s much like a car oil change, but even easier, so you should be able to do it yourself. Just consider these ATV oil change steps before you get started. The first question you might have is how often you need to change the oil. The answer is that it depends on your ATV. In general, you’re supposed to perform an ATV oil change about every 100 hours of use, or at least once per year. But be sure to check your owner’s manual to find out what it says about your specific ATV. While you’re reading the manual, take note of which type of oil and filter to use, and buy those. 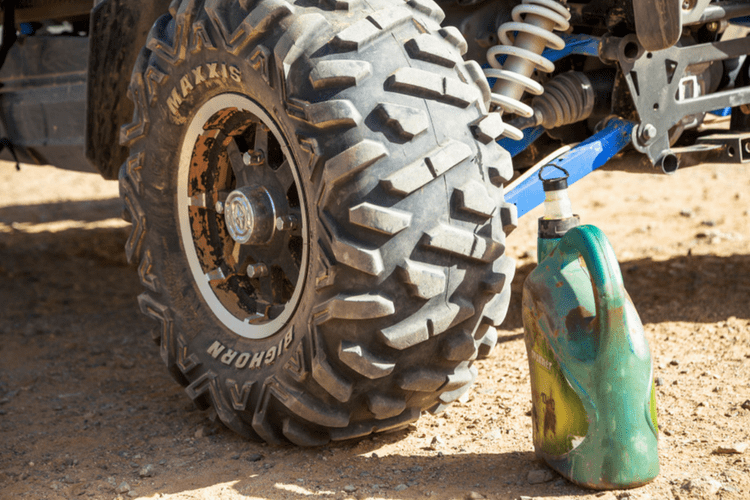 It’s important to use the correct ATV oil change supplies if you want to keep your vehicle running properly, so don’t simply make assumptions on what you should buy. Let your owner’s manual guide you on this decision. Now that you have the supplies you need, start your ATV’s engine up and let it run for about ten minutes. This warms up the oil so it comes out of the drain easier. Then check your owner’s manual to find out which panels you need to remove so you can access the oil filter. You’ll likely find you have to remove the seat of the ATV first, and then you might have to pull a latch to unfasten the tabs nearby. 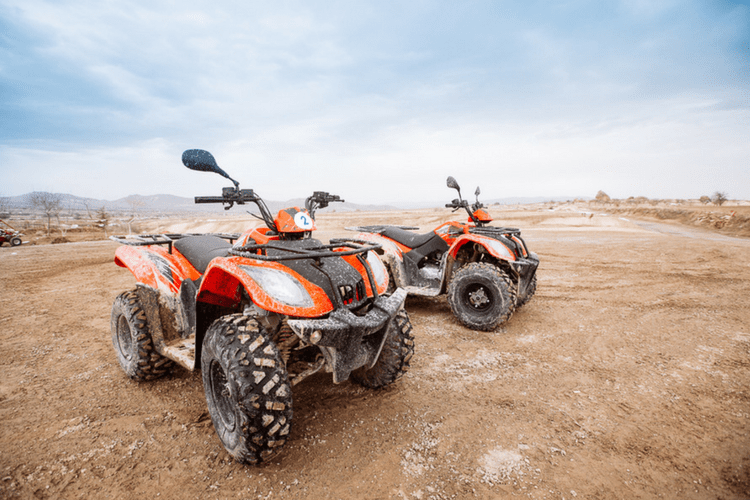 For most ATVs, you’ll also have to snap off the panel on the right side of the vehicle, which will reveal a cover that has bolts you’ll also need to remove. After you remove the cover, you’ll see the oil filter and dipstick. Take out the dipstick and clean around it to reduce the chance that grit and dirt will end up in the engine. Then check your owner’s manual to find out where the drain plug is. Once you find the drain plug—which should be at the bottom of the ATV’s engine—check the skid plate to ensure the hole is clear before you start draining the old oil. Then put a drain pan under it. Your next step in the ATV oil change should be to loosen the drain plug with a socket, and then allow the old oil to drip into the pan underneath. After all the old oil is gone, you can remove the filter. Now you can put the drain plug back into place, making sure not to tighten it too much during this step. Take the new oil filter and put some oil on the O-ring, and then screw it in by hand, using a wrench to fully tighten it—but not too tight. At that point, you’re ready to add two quarts of new oil, which you can do by placing a funnel on top of the new filter and pouring the oil through that. Once this is done, turn on the ATV’s engine and let it run for about ten seconds. This will help the fresh oil begin flowing through the engine. Then check the oil level using the dipstick to determine if you have to add even more oil before the job is done. If the level is right, you’re ready to put the cover, panel, and seat back on. The ATV oil change is just one part of keeping your vehicle maintained before you ride. For more tips on taking care of your ATV, check out our guide here: Getting Your ATV Ready for Springtime Fun. ATV’s surely got some good beatin’ riding on the trails, they definitely deserve good maintenance. Got to get the right oil with the best viscosity especially on changing weather.